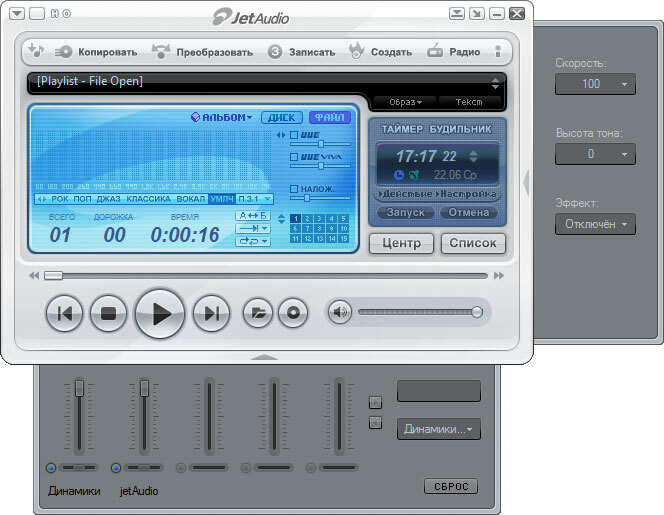 JetAudio Basic 8.1.3 : JetAudio plays various music and video files. Features included are: CD Burning, Recording, and File Conversion. You can create Internet Broadcasts with JetCast. JetAudio plays most major file formats and various video or audio tracks. 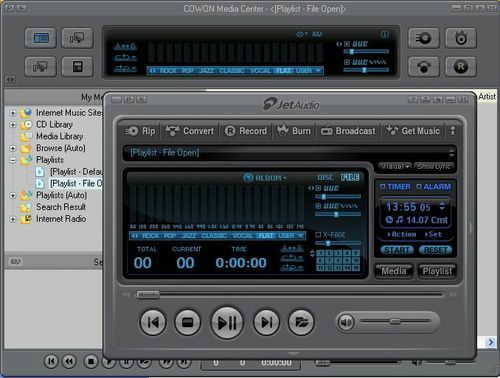 You can even convert audio files to various formats. A special feature is Video conversion which can make video files compatible for your portable devices such as iPOD or PSP. Other features include: sound effects (Wide, Reverb, and X-Bass), multichannel sound output, speed control for audio playback, cross-fading, skin changes, and synchronized lyric display for MIDI.